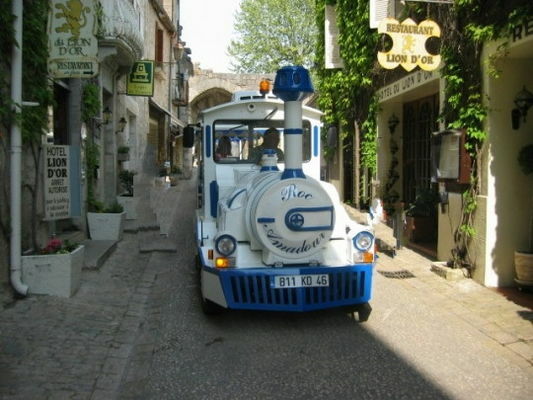 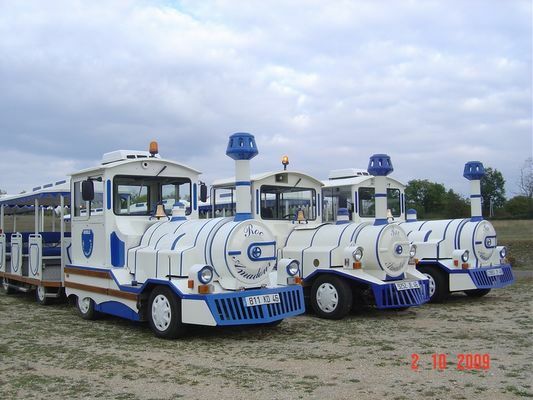 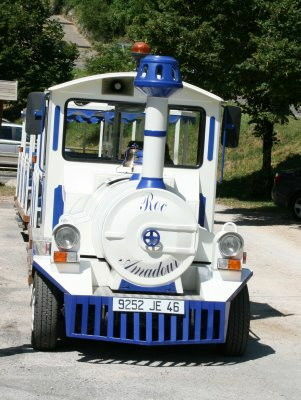 During the day, the little road train shuttles between the cark parking areas in the valley and the main street of the mediaeval village; return trip every 15 minutes. 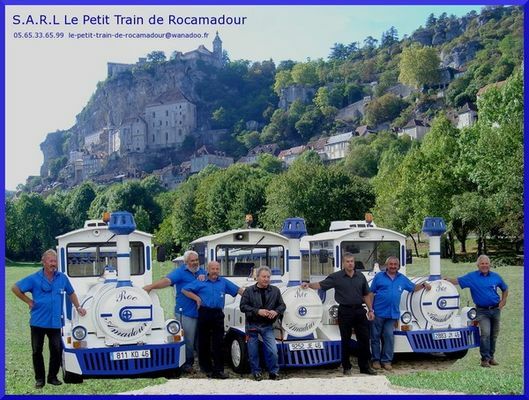 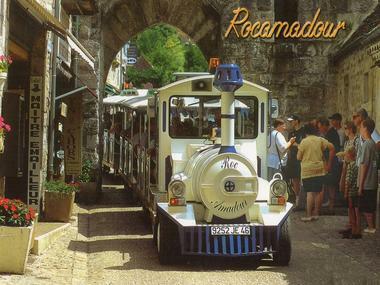 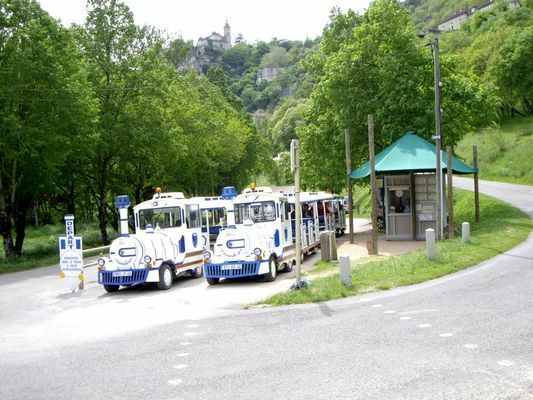 Every evening, we offer a 30 minute excursion with a commentary on Rocamadour's history. 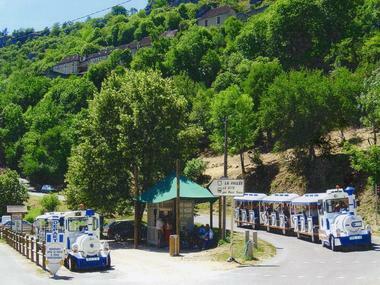 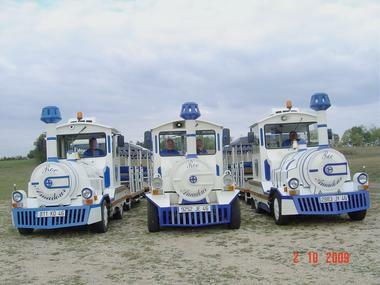 This delightful trip is full of charm - take the little road train to see a grandiose and unusual panorama. The illuminated village stands before you, a fascinating and striking sight, which will leave you with an unforgettable impression. 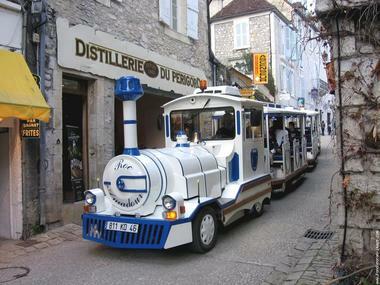 An enchanting moment.